Jason is Associate Professor in Applied Mathematics at the School of Physical, Environmental and Mathematical Sciences, UNSW Canberra. 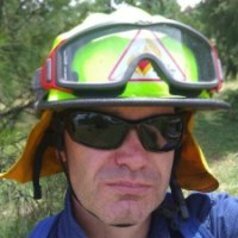 He is currently Project Leader on a number of ARC Discovery Indigenous Projects and a Bushfire and Natural Hazards CRC Project. All of these projects are concerned with better understanding the dynamics of extreme bushfire development.